(TibetanReview.net, Jul14, 2016) – So far we have heard only the official police version of what happened in that fateful night of Jun 25 when acclaimed Tibetan film director Pema Tseden was brutally assaulted during detention after a reported altercation at the Xining airport in Qinghai Province and had to be rushed to hospital in serious condition. Now only slightly better and still in hospital, the filmmaker has issued a message written by a friend and posted on Sina Weibo, the Chinese version of Twitter, demanding a thorough investigation of his detention and ill-treatment. He has expressed willingness to undergo further detention for that purpose. According to the police version, reported on by China’s official Xinhua news agency Jun 29, Pema Tseden had got violent and insisted on going into a restricted area to check for his missing baggage despite being advised against it and therefore had to be put under administrative detention. But the filmmaker’s demand for investigation suggests that this was far from true. The Xinhua report said Pema Tseden was diagnosed with high blood pressure and blood sugar levels, while the injury marks seen on his wrist were a result of his struggling while being in handcuffs. It remains to be seen whether the fact that he is still undergoing treatment in hospital, wearing oxygen mask and receiving injections while being connected to IV drip, and unable to respond to messages 17 days after the incident, may suggest that much of the treatment may be for injuries resulting from police brutality. A scmp.com report Jun 30 cited Pema Tseden’s friend Dorjee Tsering as saying the former had been subjected to brutal and violent treatment by Qinghai police and interrogated over night after trying to pick up his bag. His body was found to have suffered multiple injuries and bruises, which were caused by the violent measures carried out by the airport police, Dorjee Tsering was further cited as saying. Many have suggested that Pema Tseden had received the standard brutal ill-treatment given to Tibetans by Chinese police who did not realize he was also an acclaimed filmmaker. 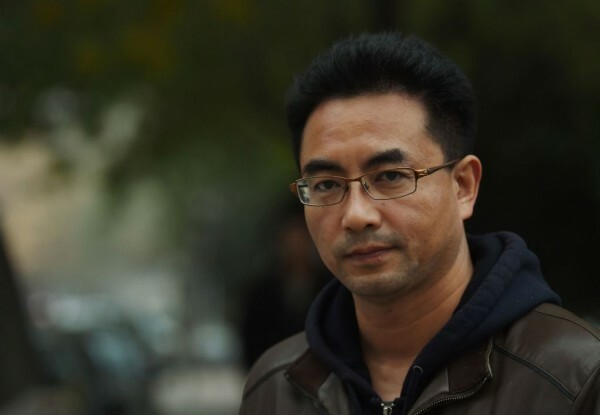 “I suspect that the police were on high alert because he is Tibetan, and they are over-sensitive and over-suspicious [where Tibetans are concerned],” Radio Free Asia (Washington) Jun 29 quoted Beijing-based documentary filmmaker Hao Jian as saying. Also, theguardian.com Jun 29 cited Françoise Robin, a professor of Tibetan studies at the Institute for Oriental Languages and Civilisations in Paris and who had known Pema Tseden for 15 years, as saying his alleged mistreatment reflected the way Tibetans were routinely treated by the Chinese authorities. “This kind of thing happens every day on the Tibetan plateau, I’m afraid to say. What is good for the authorities, usually, is that they get away with it because no one knows … The problem now for the authorities is that they have picked up someone who is famous and maybe they didn’t know,” she was quoted as saying. Pema Tseden, born 1969 in Gade (Chinese: Gande) County of Qinghai Province, had won many Chinese and international film awards, including the best adapted screenplay award at the Golden Horse Awards last year for his film “Tharlo.” He is the first director in the People’s Republic of China to make films entirely in the Tibetan language. He is a graduate from Northwest University for Nationalities and an alumni of Beijing Film Academy.